Richwood Filtered Cigars - the #1 Filtered Cigar on the market! 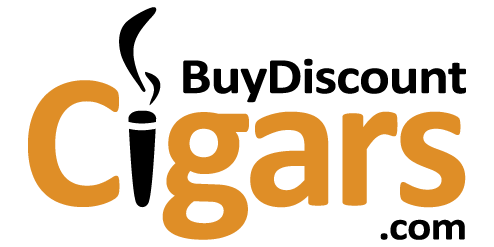 Desire for a rich, affordable smoke? Fulfill it with Richwood Cigars! What happens when premium toasted Kentucky tobaccos are rolled inside homogenized tobacco leaves? 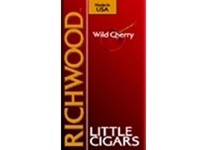 You get something like Richwood Filtered Cigars that are full in taste and pleasant in aroma. 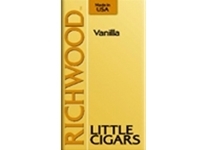 Richwood come in several styles and flavors, like Wild Cherry, Menthol, and Vanilla. Slow and evenly burning, these cigars are absolutely superior to other brands of filtered cigars. Always in stock, Richwood Filtered Cigars ship quickly and usually arrive in just 2-3 days! 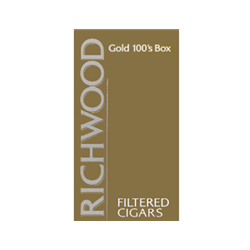 Richwood Filtered Cigars are our best selling and most popular brand!